I found a cure for Blogger’s Block, use someone else’s content! I’m just kidding. This week you can listen to my interview on the HotSauce Weekly Podcast hosted by Brian & Marilyn Meagher. HotSauceWeekly is one of my favorite podcasts, I listen to the episodes regularly while I’m working for “The Man”. Click on the banner to listen the Podcast and be sure to subscribe and stay up to date on all the all the latest news and products in the Hot Sauce & BBQ world. 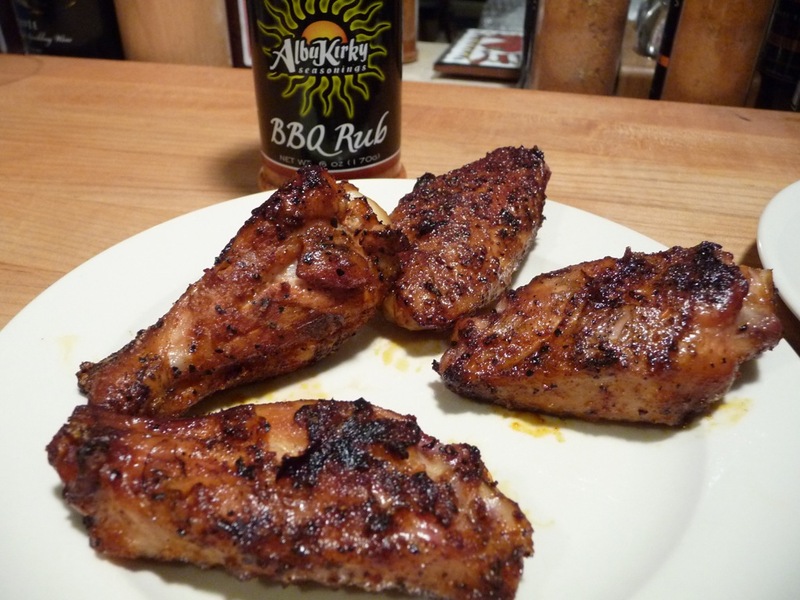 Brian also wrote a great review of my BBQ Sauce and Rub during his Week of Wings series on HotSauceDaily.com. I would really like to thank Brian & Marilyn for having me on their show and reviewing my products. I had a great time doing the show and look forward to talking with them again soon. Yeah great! You broke through the barrier of silence. I cant get your coatings and rubs down here in Africa, so how about a “long hand” method of preparing chicken like the amazing photo above?? It just looks so appetizing with a hint of sticky maybe?? Thanks for being on the podcast with us, Kirk. We had a blast with you. And your rubs and sauce are awesome. I'll ship to Africa if you don't mind the additional postage.